You likely have many things you are keeping due to sentimental value. While it is more than ok to hang on to some of this stuff, having too much can weigh you down. Maybe your kids or grandkids would love to have your old Christmas ornaments that are lying around in the closet. Things such as old toys, clothes, and artworks can find new homes with people you love. This way you can find joy in knowing they are being used and loved, without taking up storage space in your house. 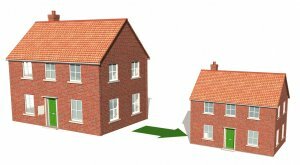 Want to learn more about downsizing your home in the Louisville area? Sisters Who Buy Houses are here to help you! Contact us today to learn more! 502-273-0000.